Did you know that more than 80% of our immune system is dependent on our intestinal health? 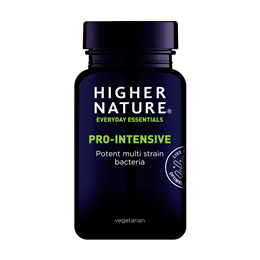 This well-researched, high potency probiotic is specifically designed for use during and after antibiotics, to help maintain a healthy gut flora. Each of the four strains; Lactobacillus acidophilus, Lactobacillus casei, Bifidobacterium lactis and Bifidobacterium bifidum; have been chosen to act synergistically for greater effect. Produce antibiotics and antifungal that prevent the growth of harmful bacteria and fungi. The formula is highly stable, which means that the bacteria do reach the colon alive. Bulking agent: microcrystalline cellulose; capsule: hydroxypropyl methylcellulose (vegetarian source); live bacteria mix: lactobacillus acidophilus, lactobacillus casei, bifidobacterium latis (fromerly longum), bifidobacterium bifidum; anti-caking agent: magnesium stearate. Adults: Take 1 vegicap 3 times a day with a glass of water immediately before a meal, or as your health professional advises. Children over 8 years: Take 1 vegicap up to twice daily with a glass of water immediately before a meal, or as your health professional advises. This product needs to be kept refrigerated before and after opening - and should be consumed within 3 months of opening. 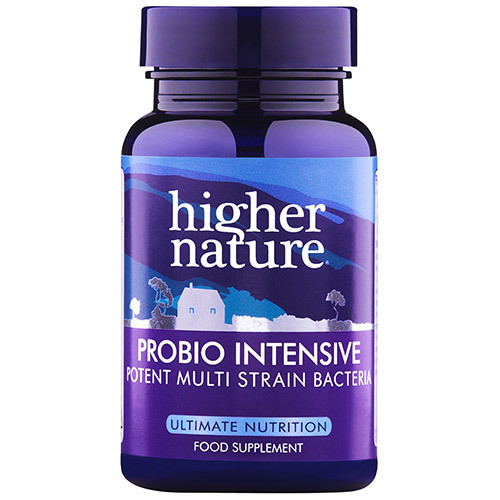 Below are reviews of Higher Nature ProBio Intensive - 90 Capsules by bodykind customers. If you have tried this product we'd love to hear what you think so please leave a review. This well-researched, high potency probiotic is specifically designed for use during and after antibiotics, to help maintain a healthy gut flora.